If you’ve been looking to drive a luxury SUV with features that will keep both driver and passengers entertained to no end, don’t buy just any vehicle from an Oklahoma City car dealership. 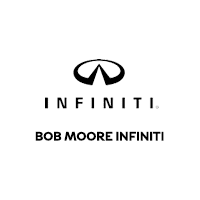 Get the 2019 INFINITI QX80 from the premier INFINITI dealership in Oklahoma, Bob Moore INFINITI. There’s never been a more entertaining luxury SUV than the 2019 INFINITI QX80, and these ensuing paragraphs will definitively prove without a shadow of a doubt that this point is true. When you drive the 2019 INFINITI QX80, you don’t only get 1 zone of entertainment, you get 3. The 2019 INFINITI QX80’s smart, exciting Tri-Zone Entertainment System is the latest innovation that INFINITI has bestowed upon the 2019 INFINITI QX80, making it one of the most high-tech luxury SUVs on the road today. The 2019 INFINITI QX80’s available dual 8-inch screens provide second-row passengers with endless entertainment during every drive. Wireless headphones give them the ability to enjoy TV shows, movies or games without disturbing the driver and front-row passenger. These features make the 2019 INFINITI QX80 one of the most enjoyable luxury SUVs in its class. Don’t settle for just 1 zone of entertainment. Get 3, and give riders the freedom to enjoy newfound luxuries. Experience the Tri-Zone Entertainment System in the 2019 INFINITI QX80 at Bob Moore INFINITI in Oklahoma City, OK today. Have you been wanting a sound experience similar to the one you’d have in the comfort of your own home? Well, now you can. While the sound system in the 2019 INFINITI QX80 doesn’t hold a candle to a concert hall, it comes close. The 2019 INFINITI QX80’s standard 13-speaker Bose® premium sound system gives passengers the high-quality audio they need to get the most out of every drive. There’s never been a better way to listen to music in a luxury SUV. Low rumbling bass emerges from the speakers without a hint of fuzz. The high-end treble of crisp, clean vocals comes across smooth and clear, the way it was intended by producers. If the sound system wasn’t enough, available wireless smartphone charging and Wi-Fi hotspot allows riders the opportunity to stay connected to the world around them from the comfort of their seat. Now, passengers will be able to go online and enjoy a variety of applications they never would’ve been able to enjoy in any other vehicle. If you’ve been wanting more ways to remain linked to the internet on the go, you need to drive the 2019 INFINITI QX80. It is virtually guaranteed that the 2019 INFINITI QX80 gives passengers the opportunity to get the most entertainment possible out of their riding experience. Looking for a luxurious new INFINITI? Oklahoma City drivers know to get theirs at Bob Moore INFINITI. You can be certain after learning about the advanced, fun and exciting entertainment features in the 2019 INFINITI QX80 that is the ideal luxury SUV for you. Once you experience the joys of in-car entertainment that the 2019 INFINITI QX80 can provide, you won’t want to drive any other vehicle. Whether it’s the Tri-Zone Entertainment System that keeps passengers distracted and drivers focused, or the Bose Speaker System that gives listeners crisp, clear audio the likes of which they’ve never heard before, the INFINITI QX80 is the perfect luxury SUV for you. Test-drive the 2019 INFINITI QX80 at your local Oklahoma City car dealership, Bob Moore INFINITI and discover the entertainment features you’ve always wanted in a luxury SUV.